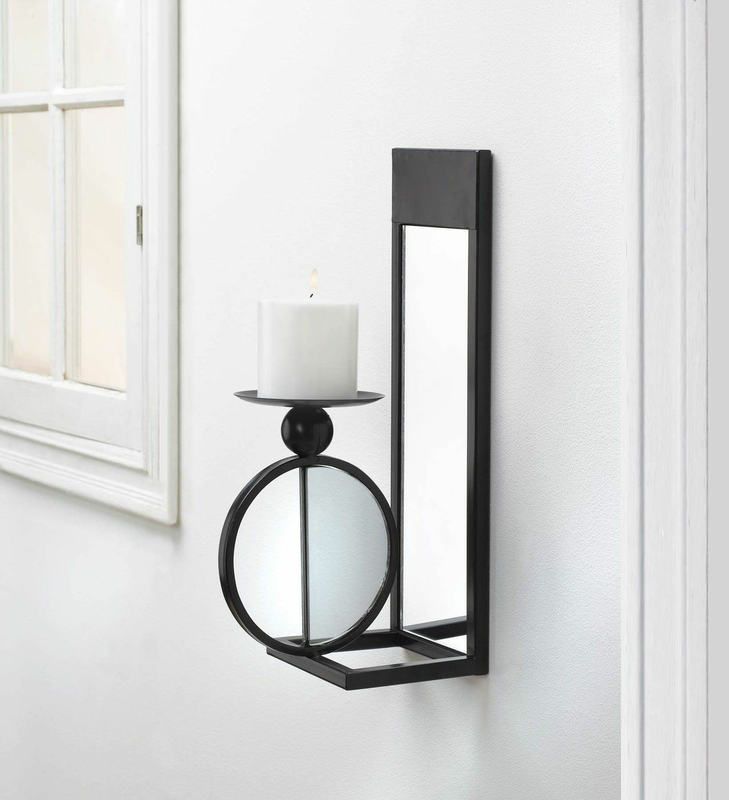 Bring light and beauty to any space with this simple, industrial black mirrored wall sconce. 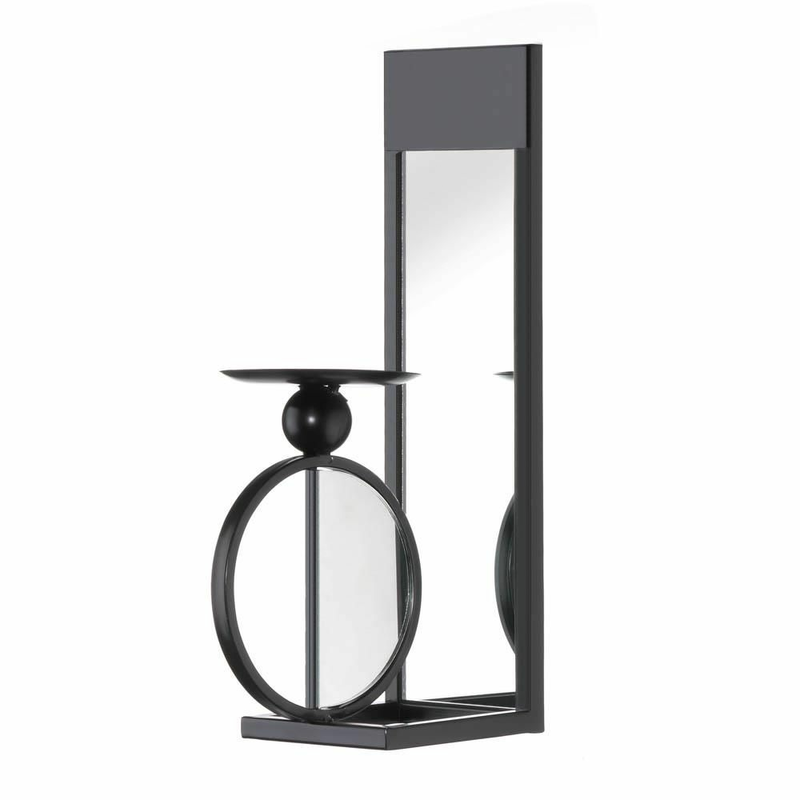 Its sleek style, complimented with its chic, black finish is the perfect statement for simplicity and style. Update your home with its industrial design while accommodating a variety of indoor decor styles. 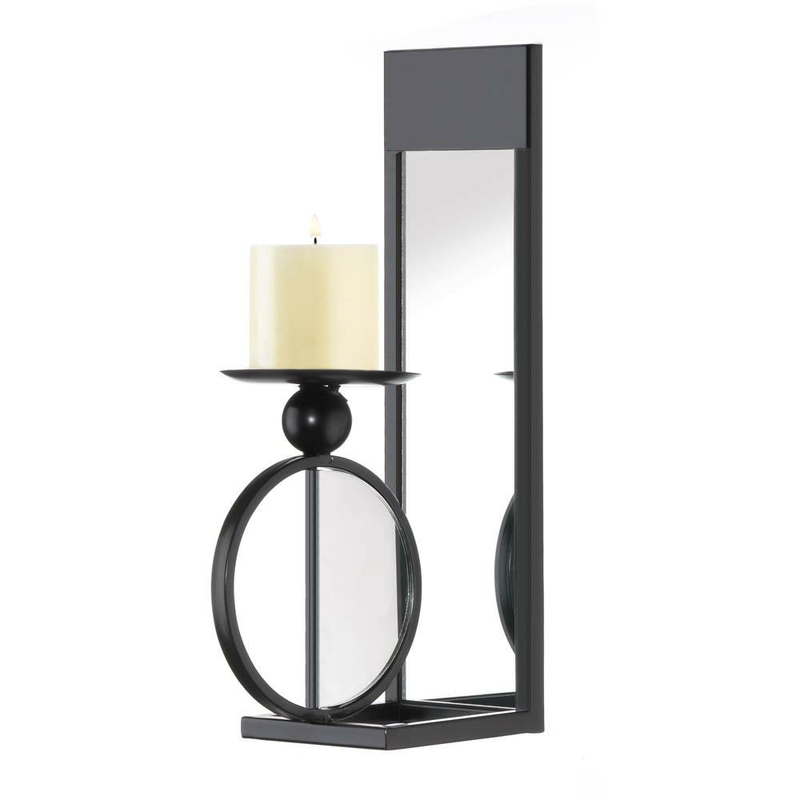 Freshen up your candleholder by adding a new pillar candle to welcome each new season. Weight	2.6 pounds. 4.75" x 7.5" x 15.5". Iron, Glass. UPC Number: 849179040451.